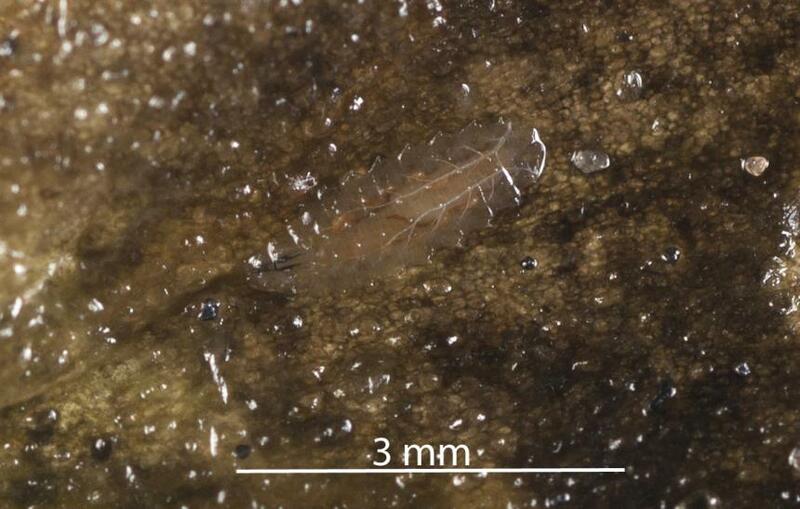 Factsheet: Australasian coastal fly- Australimyza sp. Home>Factsheets > Australasian coastal fly- Australimyza sp. Australasian coastal fly- Australimyza sp. 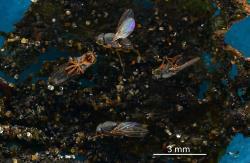 The flies in the family Australimyzidae are only found in Australia, New Zealand and associated subantarctic islands. The family contains only one genus, Australimyza. 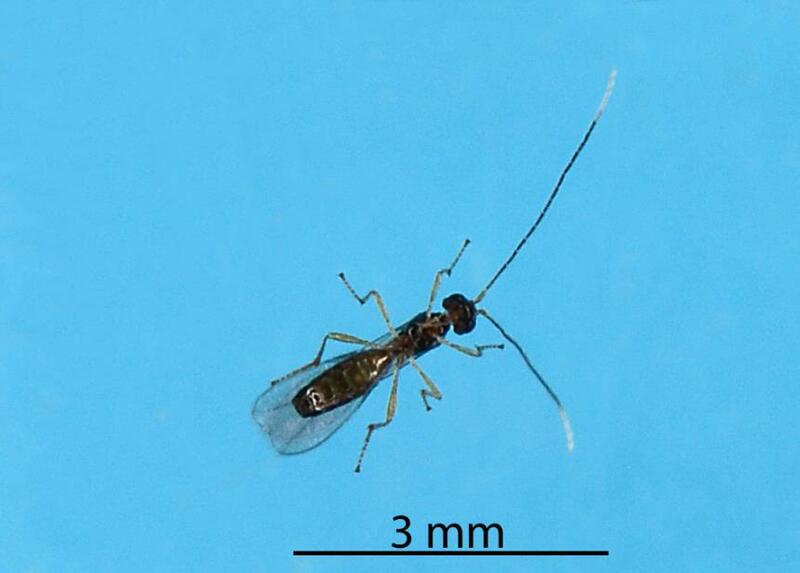 The genus was established by R. A. Harrison in 1959 in his major work on Acalypterate Diptera of New Zealand. The flies in this genus are associated with low growing plants in coastal habitats. 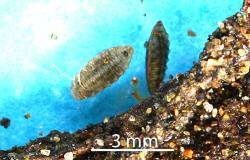 Larvae have been reared from seaweed, plant leaves which were probably decaying and material from a sooty albatross nest. Three species have been found on the North & South Islands of New Zealand. Two others are on the Chatham Islands and subantarctic Islands. 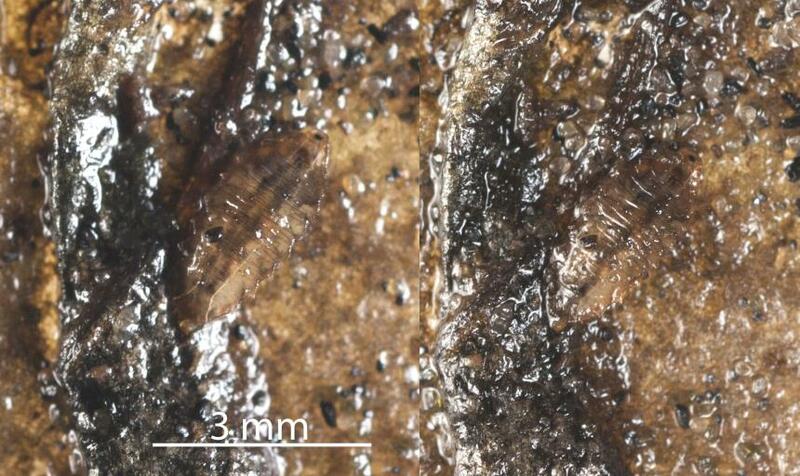 The flies illustrated in this factsheet were reared from decaying leaves, but their species name has not been determined. Endemic flies in the genus Australimyza are found in coastal areas of North and South Islands. Other species are found on the Chatham Islands and subantarctic Islands. There are species in Australia. Adults may be found on flowers. Larvae feed on decaying vegetation. Conservation status: The Genus is widespread around the coast of New Zealand and on many off-shore Islands, the species do not appear to be threatened. 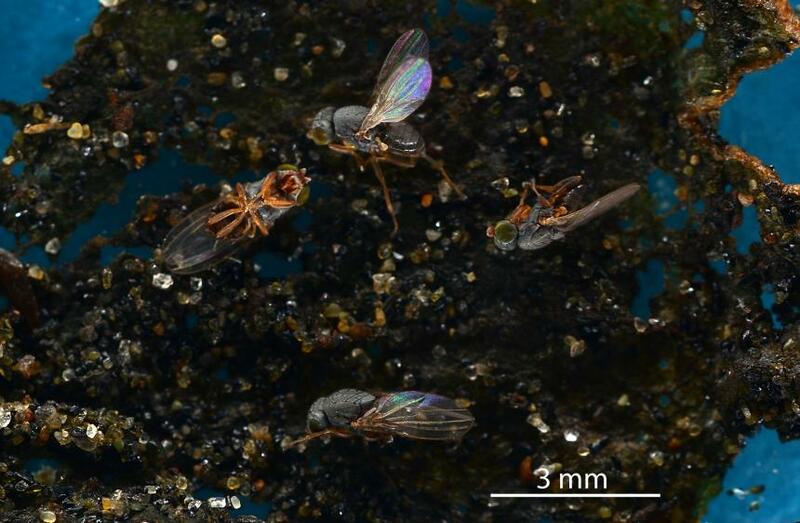 Australasian coastal flies have been found breeding on dead and damaged leaves of plants on west Auckland beaches in late winter, spring and early summer. 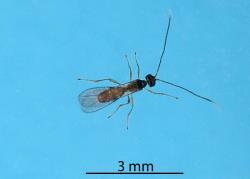 Adult flies of the species found in the Auckland Region have been found from August to February. It is not known if they breed later in the summer or autumn. The grey-brown bodied adult flies are small, about 2.0 mm long and with the wings are about 3.0 mm long. 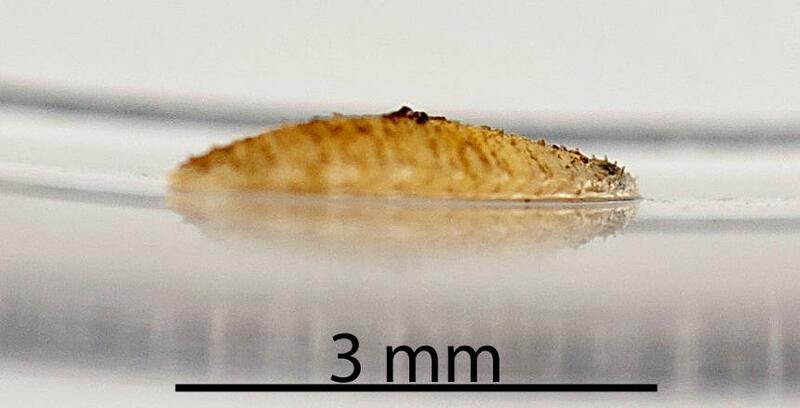 The flies are smaller than vinegar flies, Drosophila, that are seen around rotting fruit. The adults are typical flies, having one pair of wings. The hind pair of wings is reduced to two small knobs, or halteres, which help the fly to balance during flight. They also have three pairs of legs. 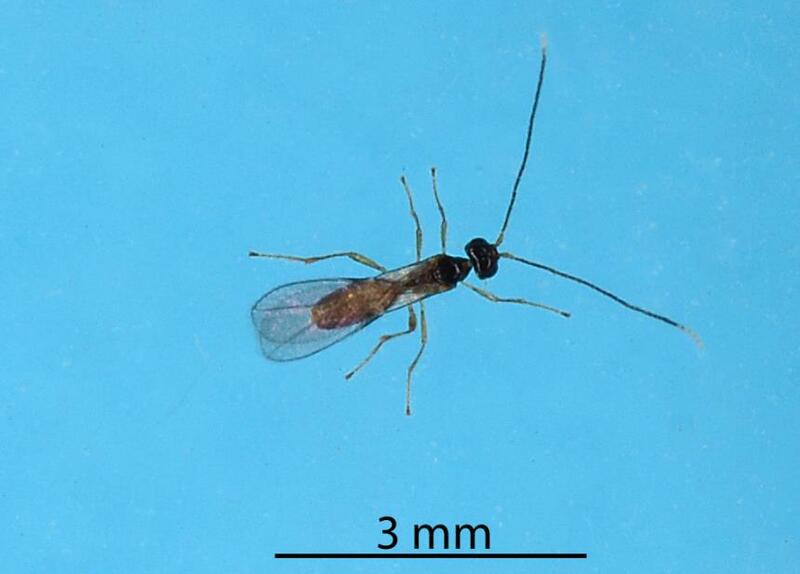 The two antennae each have a simple arista (a long bristle-like appendage) on the third (last) antennal segment. On the head there are three pairs of orbital setae (long setae close to the top edge of the compound eyes). The anterior pair bends in towards the centre line, the other two are more upright and point outwards. 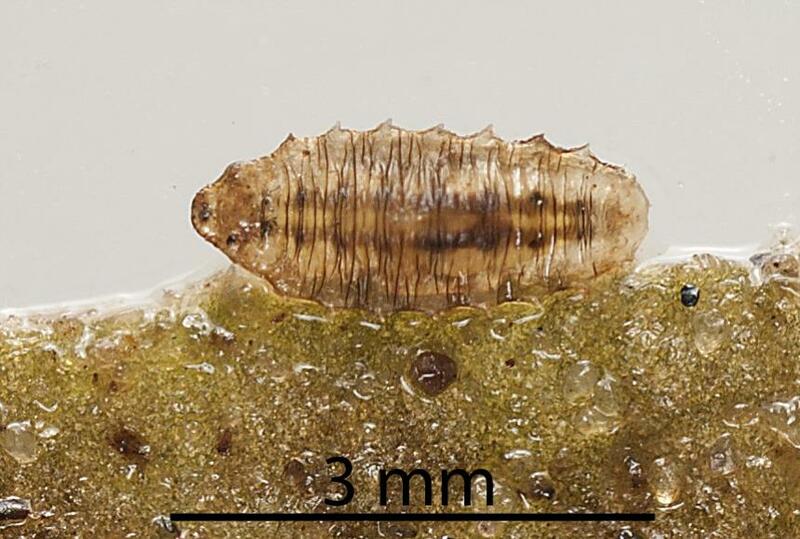 The body is covered with a grey or brown microtomentem. 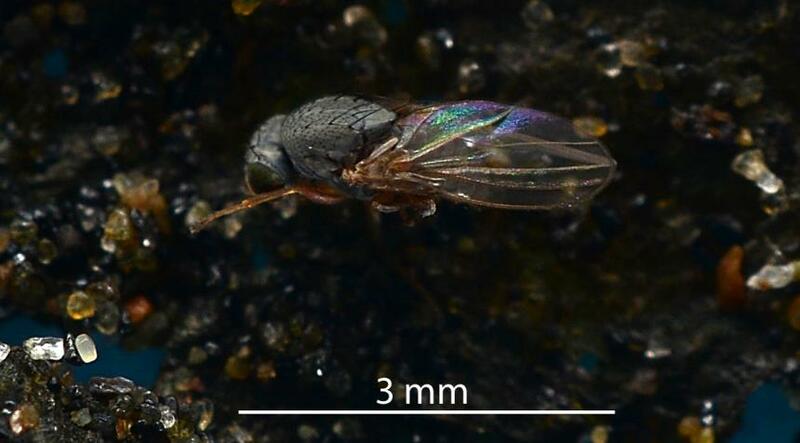 The dorsal (top) side of the thorax (middle part of the body) and the head are also covered in tiny setae. Both the male and female have a rounded end to the abdomen. The male has the more complex external genitalia. 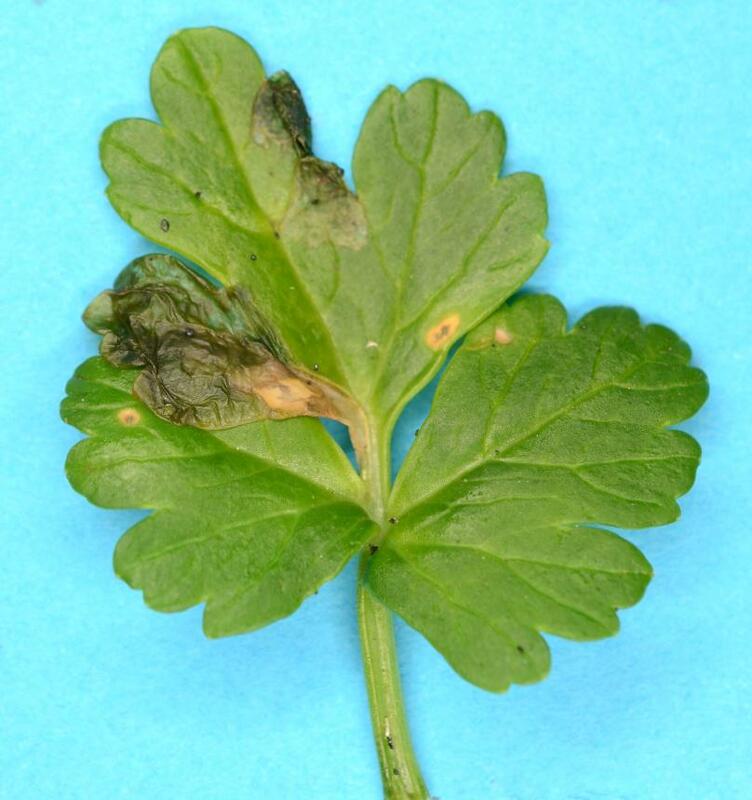 After mating it is presumed that the female lays eggs on or near dead or decaying leaves on plants such as New Zealand celery or New Zealand climbing spinach. 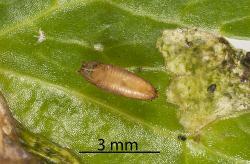 The larva is a small pale maggot that feeds on decaying leaves. When the first instar (stage) larva is fully grown it moults, changes skin, into the second instar. There are probably three instars. The mature larva has a pale, narrow head in which can be seen the dark skeleton that supports the dark mandible. The mandible scrapes the dead leaf tissue into the mouth. 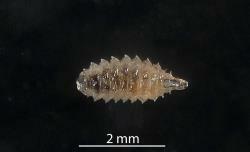 The fully grown larva is about 2.5 mm long. The body has well defined segments that have lateral triangular bulges with a backward directed point. 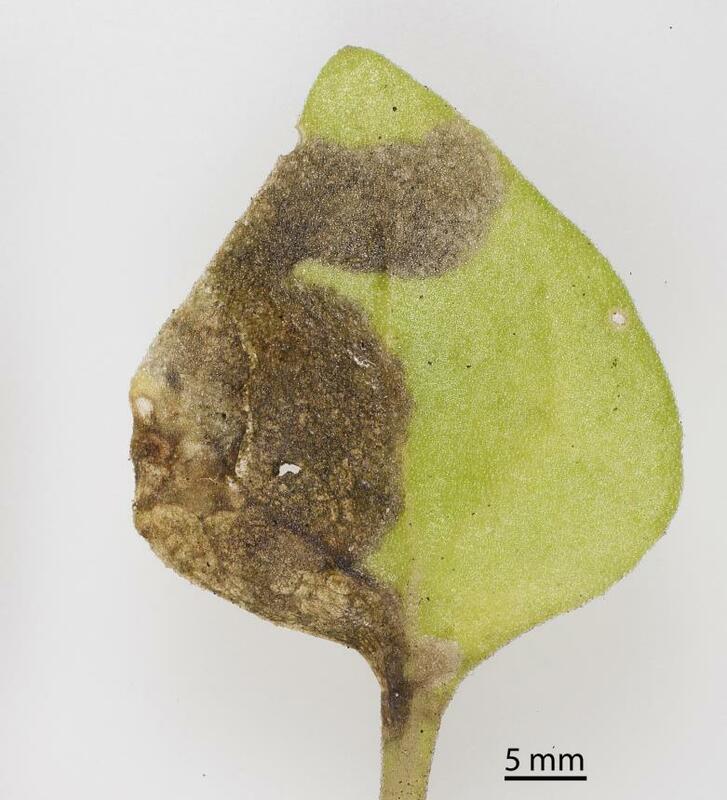 The fully grown larva stays on or near the rotten leaves. 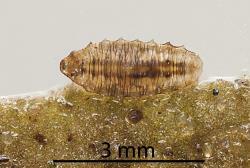 The larva pupates inside its larval skin, which darkens and hardens. This structure is called a puparium. The puparium retains the sharp backward pointing edge to most body segments. The upper side of the head appears to have short blunt spines. When ready to emerge, part of the head, just above the antennae, balloons out. This structure, the ptilinum, pushes the front of the pupa open. There is a line of weakness between the top and bottom halves at the front split allowing the top and bottom to open up. After the fly has crawled out of the puparium, the ptilinum retracts into the head, the wings expand, and the body hardens. Over the next 12 hours the fly acquires its full body colour. 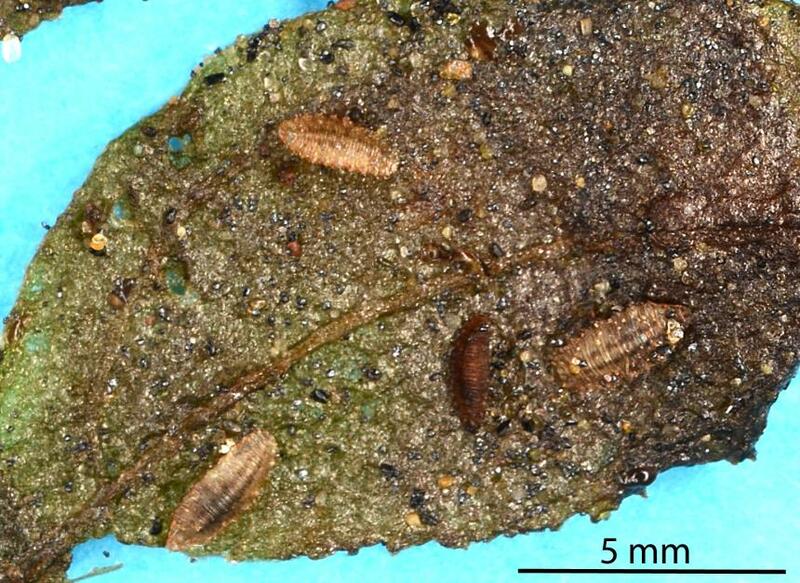 These distinctive looking fly larvae have been found on leaves of plants that were also infested by leaf mining flies in the genus Scaptomyza (Diptera: Drosophilidae). A microscope is needed to examine the fly larvae in order to distinguish them. A magnifying glass or microscope are need to examine the adult flies. 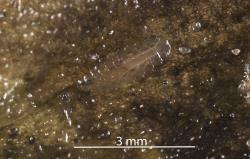 The genus, Australimyza, can be recognised examining the large setae (hairs) on the head and by the general appearance of the body. 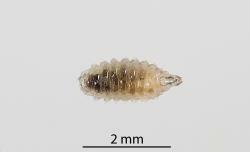 The body is covered with a grey or brown microtomentem. On the head there are three pairs of orbital setae, the anterior pair bends in towards the centre line, the other two are more upright and point outwards. One parasitoid, Asobara albiclava Berry, 2007 (Hymenoptera: Braconidae) has been reared from an Australimyza sp. 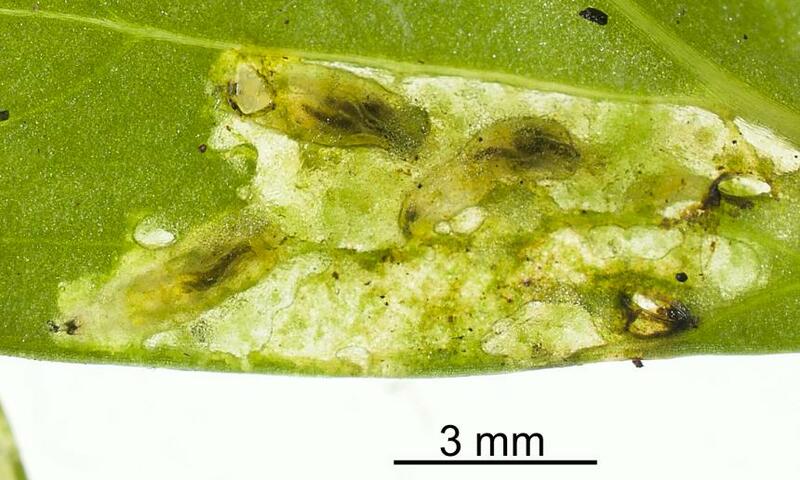 larva living on decaying leaves of New Zealand climbing spinach, Tetragonia implexicoma (Aizoaceae). There are no reports of any pathogens or predators of Australimyza species in New Zealand. It is likely that they are preyed upon by birds, spiders and predatory insects. Underside of a pupa of an Australasian coastal fly, Australimyza sp. (Diptera: Australimyzidae) from which emerged an adult parasitoid, Asobara albiclava Berry, 2007 (Hymenoptera: Braconidae). 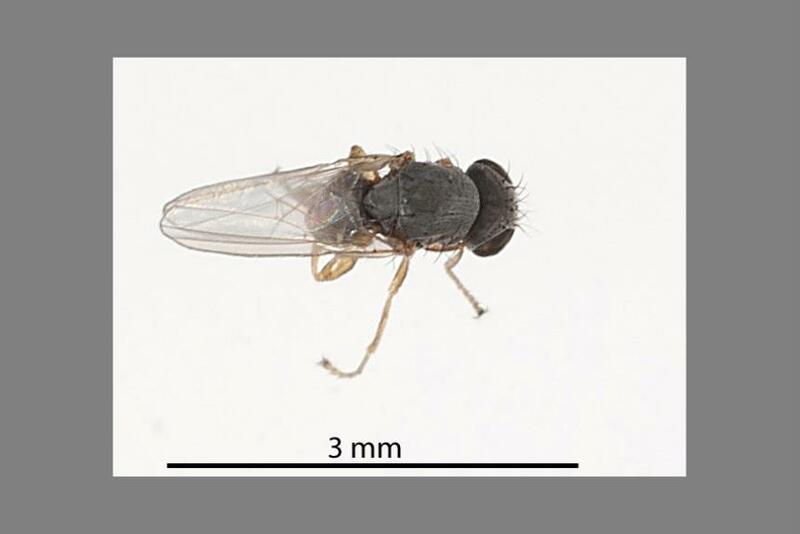 Adult flies of Australimyza species have been found feeding on or associated with flowers of a variety of herbs and shrubs. One species was found around dead stingrays. 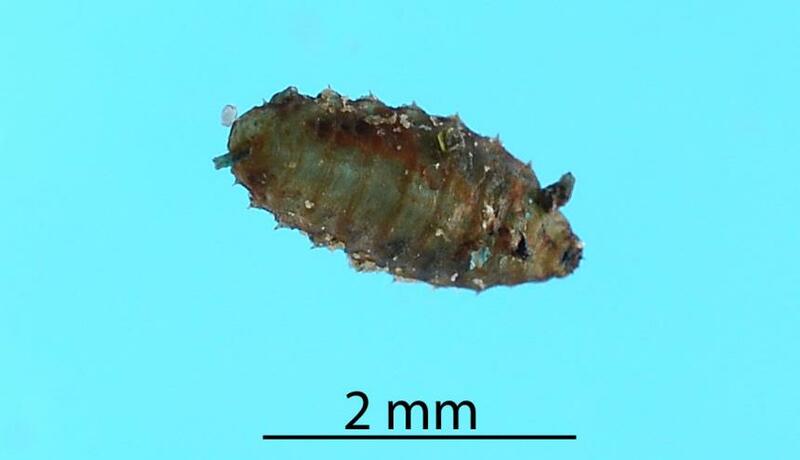 Larvae have been reared from seaweed, plant leaves which were probably decaying and material from a sooty albatross nest. 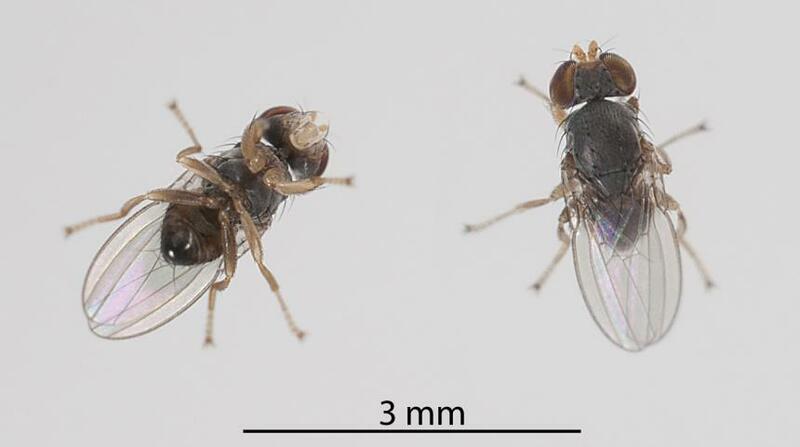 On the west coast of Auckland, flies have been reared from larvae living on decaying leaves of New Zealand climbing spinach, Tetragonia implexicoma (Aizoaceae) and New Zealand celery, Apium prostratum (Umbelliferae). The larvae were living on leaves still attached to the plants. Brake I, Mathis WN. 2007. Revision of the genus Australimyza Harrison (Diptera: Australimyzidae). Systematic Entomology. 32: 252-275. Martin NA. 2018. Australasian coastal fly - Australimyza sp.. Interesting Insects and other Invertebrates. 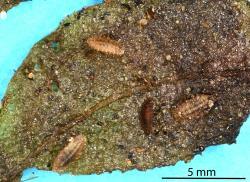 New Zealand Arthropod Factsheet Series Number 145. http://nzacfactsheets.landcareresearch.co.nz/Index.html. Date Accessed. ISSN 1179-643X.